My first interest in motorcycles and sidecars began in my childhood. When I was a teenager in 70's I had my first classic bikes; a BMW R 5 and a Harley WLA. Over the years I rode (and of course repaired) dozens of classic motorcycles such a magnificent BMW R75, various big Zundapps, NSUs, Harleys and Indians some with sidecars. A few of them I still have in my collection. My independent garage was founded in 90's. At this time hundreds of "Lend Lease" Harleys WLAs which somehow survived in Eastern Europe were sold through freshly opened borders to motorcycle collectors in Western Europe. After (usually a quick) renovation the new owners would like to travel with families and friends and thus strong demand for a light sidecar for WL model suddenly appeared. The Harley Davidson 45" WLA model is one of the most popular vintage motorcycles in the world. Over 88000 WLAs were produced. I recognized this nishe quite early and my first sidecar for the WLA was produced in 1990. I build it based on heavily rusted and uncomplete, but original LS 29 Goulding sidecar dug up from somewhere in the USA. As of summer 2012 I have manufactured over 460 light LS 29 Goulding sidecars, the only official sidecar for the WL Harley. Because of the unique shape of the gondola (like a Dutch wooden shoe), an opening door, solid steel construction and low weight, my LS 29 Goulding is still one of the most popular sidecars for various vintage motorcycles. and the Harley Davidson 45 ci model D, WL, Canadian WLC, 74 ci model JD, JH and VL. My sidecars have been sold all over the whole world, mainly in North America and Europe. Some of them were sold also to Australia and New Zealand. Production of left side LS 29 frames and gondolas started in 2008 because of the demand from Australia, United Kingdom and Sweden. They are availible in current offer. Years ago I also discovered Indian motorcycles. Delighted by their shape and manufacturing style, I started researching sidecars for Indians. I chose the 1940 Chief SC sidecar as the nicest with the distinctive Art deco look. After long seven years of detailed preparations and collecting original parts the Indian SC sidecar was ready in summer of 2007. So far 70 of these beautiful sidecars have been manufactured in my workshop. This sidecar is tough to produce with numerous details, difficult cast steel elements, fancy short and long polished gondola trims, a wheel with brakes and intricate upholstery. Also left side frames for the Indian SC sidecar (both long and short) are availible now. SC sidecars were hacked to all Indian Chief models produced between 1939 (40)-53, also for Indian Sport Scouts from mid thirties and forties. I have been planning to start production of Princess sidecar model hacked to Chiefs and Four models before SC model. For more details please send me an email. Currently I'm the only manufacturer of complete, all steel, Goulding LS 29 and Indian SC sidecars in the world. Based on the correspondence from customers using sidecars from my workshop, both the Goulding LS 29 and the Indian SC sidecar reproductions are commended for their high quality, for my strict regard to original but seemingly unimportant details, nicely pressed steel gondola bodies and precise cast steel fittings made with the lost wax technique. 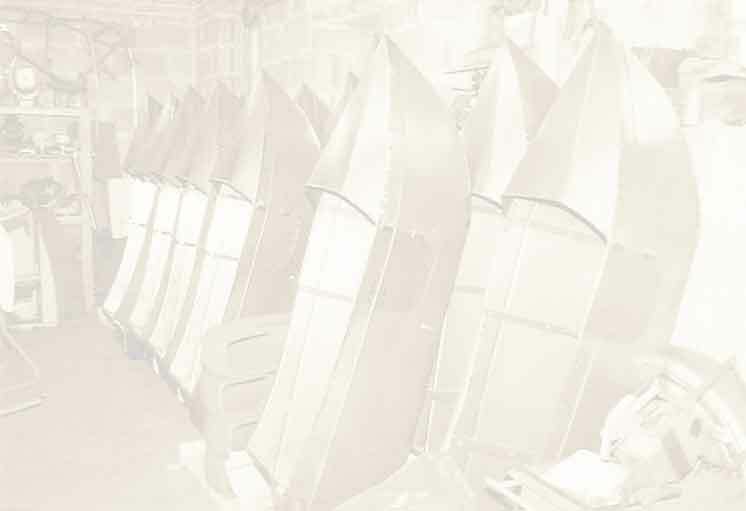 Because of improved quality of materials used today, significatly better than in the 1920s or 1940s, pressed steel gondola construction, frames from quality seamless tubing, correctly tempered springs and strong mountings my sidecars offer even higher safety then the original counterparts. I'm still increasing my knowledge about vintage sidecars and motorcycles. Often email correspondence with real and potencial customers helps me to explore new production details and differences between changed sidecar and motorcycle models. Thanks to ebay I am able collect samples of original parts. You will find much informations on this webside concerning the history of the Goulding LS 29 and the Indian sidecars. If somebody has anything interesting connected with the LS 29 or Indian sidecars, please write me at the email address below. I would like invite you to visit both my LS 29 and Indian sidecar web shops. In the folder Shipement& Payment there are informations concerning ordering, payment and delivery (Paypal: classicsidecar@yahoo.com). I'm also very open to new projects related to vintage sidecars and the possibility of cooperation with other sidecar parts producers or distributors. To see Double Seat LS 29 Gondola project please visit "Sidecar Picture Gallery"
I have entered into 2011 year with new project: sidecar gondolas for Harley Davidson JD and VL models. Check "Sidecar Spare Parts" for more info. Please write to me directly at: classicsidecar@yahoo.com with any questions concerning vintage sidecars and motocycles. The Goulding Albums by Ronald Rae grandson of James Goulding with pictured Goulding sidecars history is availible in my LS 29 WEB SHOP now!